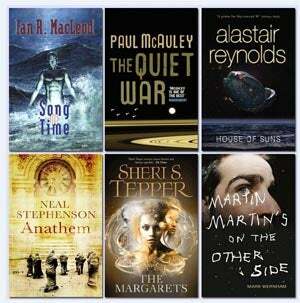 The shortlist has been announced for the prestigious Arthur C. Clarke award has been announced in the UK, and it includes six books that should be on everyone's "must read" list. A winner will be announced in late April at the Sci-Fi London Film Festival, and will get £2009 in prize money. Though the shortlist isn't very diverse, all these authors are incredibly accomplished and have contributed a great deal to the genre. You should definitely check out all these books to see which one you'd choose as the winner.